In this tutorial I will show you how to create a realistic wax seal logo mockup template in Adobe Photoshop. Thanks to the smart object we’ll be using, you can easily replace the stamp design with your own logo and reuse it every time you need! In a rush and need it right now? Check out my WaxSeal Logo Mockup. My mockup is ready to use—just replace with your design and customize the wax seal with one click! Download the wax seal image and open it with Photoshop. First, press Command-J on the keyboard to create a copy of the image. If you look in the Layers panel, you’ll see that you now have two layers, each containing the same image. The original photo will remain safe on the “Background” layer, and all of the editing work we’re about to do will be done to the copy of the image. Rename the new layer by double-clicking directly on the layer’s name in the Layers panel and changing it to “Wax Seal”. What we’re going to do is select and remove the entire background with the Quick Selection Tool. Select it by clicking on its icon in the Tools panel, or press the letter W on your keyboard to select it with the shortcut. To begin the selection, move the Quick Selection Tool‘s cursor near the top left corner of the image and click and drag over the area you need to select as if you were painting with a brush. As you drag, Photoshop continuously analyzes the area, comparing color, tone and texture, and does its best to figure out what it is you’re trying to select, often with amazing results. Once you’ve selected the background, remove it by choosing Edit > Cut in the top menu. On the top menu, click Image > Canvas Size. Set the canvas size to 2000 x 1400 px. Download the paper texture and open it with Photoshop. Unlock the layer by choosing Layer > New > Layer from Background and press OK. Select the texture by choosing Select > All or pressing Command-A. Now copy the layer content by going to Edit > Copy or pressing Command-C.
Go back to the wax seal file by clicking on the proper tab and selecting the “Background” layer. Now paste the paper texture just copied by choosing Edit > Paste or pressing Command-V. The texture is actually too large for our canvas, so choose Edit > Free Transform or press Command-T and drag a handle to resize the paper. Press Shift as you drag a corner handle to scale proportionately. Rename the paper layer by double-clicking directly on the layer’s name in the Layers panel and changing it to “Envelope”. Duplicate the “Envelope” layer by selecting it and choosing Layer > New > Layer Via Copy or pressing Command-J, and then rename this new layer by double-clicking directly on the layer’s name in the Layers panel and changing it to “Flap”. Complete the selection by clicking once again on the initial point you added. Photoshop will convert all of the straight lines into a selection outline. Choose Edit > Cut to remove the selected area. Double-click on the “Flap” layer to open the Layer Style panel. Add a new Inner Shadow by clicking the related tab. Set the Blend Mode to Normal, Color White, Opacity 52%, Angle -90°, Distance 1 px, Choke 100% and Size 0 px. Add a new Drop Shadow by clicking the related tab. Set the Blend Mode to Multiply, Color Black, Opacity 30%, Angle 101°, Distance 5 px, Spread 1% and Size 4 px. Click on the small icon at the bottom of the Layers panel and choose Gradient. Press D on your keyboard to set the foreground and background colors to black and white. Click on the small gradient window to edit the gradient. Click on the small gear and choose Reset Gradients to reset all the gradient presets. Now choose the second preset named Foreground to Transparent and press OK. Locate the Layers panel and rename the layer just created by double-clicking directly on the layer’s name in the Layers panel and changing it to “Shadow”, and then set the Opacity to 5%. Select the layers “Shadow“, “Flap“, and “Envelope“. To select multiple contiguous layers, click the first layer and then Shift-click the last layer. With a right-click of the mouse, select Group from layers, and name the group “Envelope“. Press OK to confirm. Starting with Photoshop CC 2015, we have ability to apply multiple layer effects (Stroke, Drop Shadow…) from a single Layer Style dialog. If you’re using Photoshop CC 2015 or higher, keep reading this section. Otherwise, jump to Section 4. Select the “Wax Seal” layer and Double-click the layer, outside the layer name or thumbnail, to open the Layer Style panel. Add a new Inner Shadow, setting the Blend Mode to Normal, Color Black, Opacity 100%, Distance 4 px, Choke 0%, Size 0 px. Add a new Drop Shadow, setting the Blend Mode to Overlay, Color Black, Opacity 39%, Angle 66°, Distance 7 px, Spread 7% and Size 13 px. Next to the Drop Shadow effect, you will see a plus sign (+). Add one more Drop Shadow effect by clicking on the plus sign. Set the Blend Mode to Overlay, Color Black, Opacity 58%, Angle 66°, Distance 7 px, Spread 7% and Size 13 px. Add one more Drop Shadow effect by clicking on the plus sign. Set the Blend Mode to Multiply, Color Black, Opacity 27%, Angle 86°, Distance 11 px, Spread 6% and Size 18 px. Add the last one Drop Shadow effect by clicking on the plus sign. Set the Blend Mode to Normal, Color Black, Opacity 10%, Angle 86°, Distance 27 px, Spread 6% and Size 101 px. For CS4, CS or CS6 users, read the following steps. We need to add multiple Drop Shadow effects to the Wax Seal layer. Older versions of Photoshop only let you apply a layer style once to a given layer. For example, you can only add a Drop Shadow effect to a layer. As of Photoshop CC, however, this limitation has been removed so that you can add the same layer style to a single layer multiple times. My advice then is to update your Photoshop to the latest version. Duplicate the “Wax Seal” layer three times by choosing Layer > New > Layer Via Copy. In the Layers panel, select the three new layers just created and set the Fill to 0%. Apply to the “Wax Seal” Layer the effects described in Step 1 and 2 of the previous section. Now apply to the residual 3 “Wax Seal copy” layers the effects described in Step 3, 4 and 5 of the previous section. Create a 600 x 600 px New Document in Photoshop. Locate the Properties panel. If you can’t see the panel, open it by choosing Window > Properties. In the Shape Details section, set the Shape Fill Type to Transparent, the Shape Stroke Type to Black, and the Shape Stroke Width to 15 px. Be sure that the size is exactly 600 x 600 px and the position is 0 for both X and Y axis. With the “Ellipse” layer selected, choose Layer > New > Shape Layer Via Copy to duplicate the layer. Rename the new layer by double-clicking directly on the layer’s name in the Layers panel and changing it to “Path”. Locate the Properties panel. In the Bounding Box section, set width and height to 516 px, X and Y axis to 42 px, and then change the Shape Stroke Type to Transparent. Download Rubik font, a font that’s free for commercial use. Install the font on your computer; we’ll need it a while. In the top options bar, choose Rubik Bold set to 62 px with Text Alignment option set to Left and Type Color set to Black. Also, set the tracking for the character to 500 in the Character panel. If you can’t see the Character panel, open it by choosing Window > Character. Move the Horizontal Type Tool over the edge of the path. The pointer changes to an I-beam with a dotted wavy line through it. Click on the shape border in the spot where you want to start adding text. The spot you click on is where the text will begin, and as you continue typing, the text follows the direction of the path. Type the text “WAX SEAL STAMP MOCKUP“. When you’re done adding your text, press ENTER on your keyboard. Move the Path Selection Tool‘s cursor anywhere over the top of your text. You’ll see the cursor change from a black arrow into an I-beam with a small arrow on the side of it pointing left or right. Simply click on your text and drag it slightly down across the path to flip the text inside the shape and reverse it. Select the Horizontal Type Tool from the Tools panel. Move the mouse cursor to the top left corner of the canvas. You we’ll see the cursor change to an I-beam with a dotted square around it. Click and type the letter “W“. In the Properties panel, choose Rubik Regular and set its size to 383 px. Then set the position to 136 px for X and 68 px for Y axis. Be sure to set the fill color to Black. In the Layers panel, select the four layers. To select multiple contiguous layers, click the first layer and then Shift-click the last layer. Move the mouse cursor over one of the levels and with a right-click of the mouse, choose Convert to Smart Object. Now grab the Move Tool (V), click and hold the stamp design in the document window (not the Layers panel, just on the image itself), drag your cursor to the title of the previous document tab (the one with the red wax seal), and wait until the document view changes (don’t release left mouse button yet). Then move your mouse cursor into the document window and release the left mouse button (hold down Shift to place the layer in the center of the document). Rename this new layer by double-clicking directly on the layer’s name in the Layers panel and changing it to “Smart Object Effect 01“. Choose Edit > Transform > Rotate. In the top option bar, set the rotation to 33°. Do not press Enter yet to confirm since we still need to transform the design. If we look closely, a thin bounding box appears around the stamp design. We can also see a small square in the top center, bottom center, left center, and right center, as well as a square in each of the four corners. These little squares are called “handles”, and we can transform whatever is inside the bounding box simply by dragging these handles around. In this step it’s extremely important that we transform the stamp design using only the handles at the center of each side of the bounding box. In the image below, the handles that we can use to transform the stamp design are indicated by arrows. Select the layer “Smart Object Effect 01“, and then in the Layers panel, set the fill to 0%. Duplicate the layer “Smart Object Effect 01” by selecting it in the Layers panel and choosing Layer > New > Layer Via Copy. Rename this new layer by double-clicking directly on the layer’s name in the Layers panel and changing it to “Smart Object Effect 02“. Select the layer “Smart Object Effect 01” and then double-click the layer, outside the layer name or thumbnail, to open the Layer Style panel. Use the Hex Code #440303 for Highlight Mode color and #7b0000 for Shadow Mode color. Add a new Drop Shadow style. Be sure to set the effect exactly like the image below. Use the Hex Code #5e2831 for Blend Mode color. Press OK to confirm the changes and close the Layer Style panel. Press OK to confirm the changes and close the panel. Choose Filter > Blur > Gaussian Blur and set the Radius to 0.6 px. Press OK to confirm the changes and close the Layer Style panel. Select the layer “Smart Object Effect 02” and then double-click the layer, outside the layer name or thumbnail, to open the Layer Style panel. Use the color white #ffffff for the Highlight Mode and black #000000 for the Shadow Mode. Add a new Drop Shadow style. Be sure to set the effect exactly like the image below. Use the Hex Code #602532 for Blend Mode color. Press OK to confirm the changes and close the Layer Style panel. Choose Filter > Distort > Ripple and set the Amount to -20% and Size Medium. Press OK to confirm the changes and close the panel. Choose Filter > Blur > Gaussian Blur and set the Radius to 0.8 px. Press OK to confirm the changes and close the panel. In this tutorial we learned how to make a realistic wax seal logo mock up using a smart object and the layer styles. Don’t forget to check my WaxSeal Logo Mock Up! 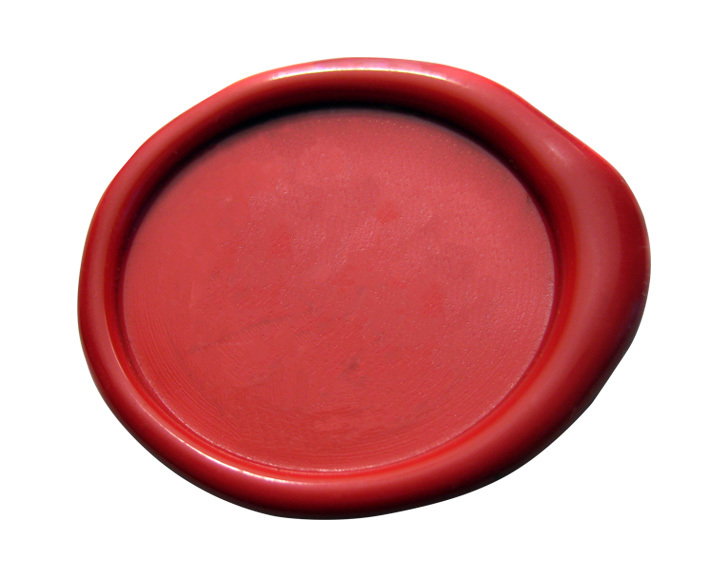 It’s a premium-quality wax seal perfect for showcasing your brand with style and professionalism! It includes two wax seal shapes and a detailed help file.